A property that is not connected to the city sewers depends on the septic system for proper waste management. 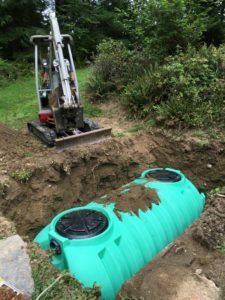 The functioning of this septic system is dependent on an efficient septic drain field. 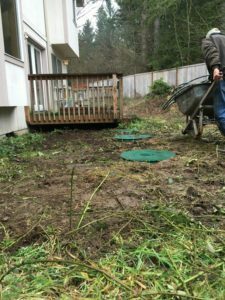 Professional septic drain field design and construction go a long way it ensures a hassle-free, working septic system, with minimal breakdowns. Still, septic drain field problems in any Eatonville, WA property cannot be ruled out completely. Issues like the natural wearing of components, biomat formation, tree-root infiltration, etc. can cause leach field failure. The only thing property owners can do is call well-trained, experienced and reliable professionals for the required leach field repair work. We have strong work ethics and always have the best interests of our customers in mind while handling septic drain field repair jobs in Eatonville. Our technicians are skilled at fixing all types of big and small leach field issues. Our company spares customers from the hassle and expense of premature drain field replacement. We even have our drain field repair crew trained in soil fracturing with the use of Terralift technology. This results in drain field rehabilitation and rejuvenation so that the drain field need not be replaced. There may be several leach field repair companies serving the Eatonville community. 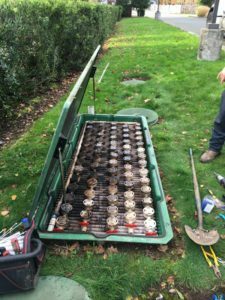 But, not all can match the quality of drain field repair services offered by us. The best thing about us is that we deliver unparalleled quality not just in workmanship, but also in customer service. Contact Vac-Tec LLC for a free estimate of leach field repair cost and to answer any questions regarding your leach field repair job in Eatonville. Call (253) 777-4887.